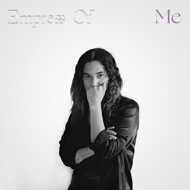 “Can I make it clear?” Lorely Rodriguez asks within the opening moments of her debut album, Me. If clarity is what she seeks, Lorely has found it: her voice upfront, every word audible and strong. Her singular voice is the centerpiece of Me, her first full-formed vision of an album, following her previously shorter and more abstract releases as Empress Of. “Don’t tell me who I am,” she sings seconds later. Where her previous recordings worked in moody abstractions, layered soundscapes hinting at a voice deep under the surface, Me plays out like diary entries from one female voice musing on the personal, the political, and all the middle ground between. Bringing to life her unique blend of deeply personal yet incredibly celebratory dance music.